Designed with Smart Seam(TM) technology to be side airbag safe. Kit includes 2 universal bucket seat covers and a back bench cover. 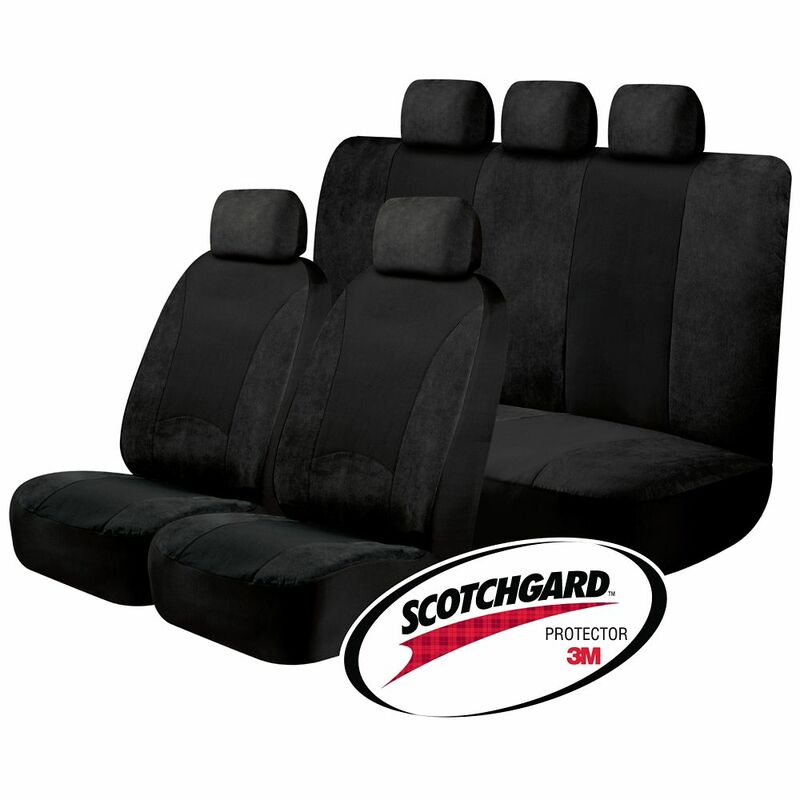 Scotchgard Classic SGX Kit - BLK A classic 3 piece kit, including Scotchgard(TM) protected rear bench and bucket seat covers for your car or SUV. Covers are constructed of Dobby knit fabric and are designed to be side airbag safe.